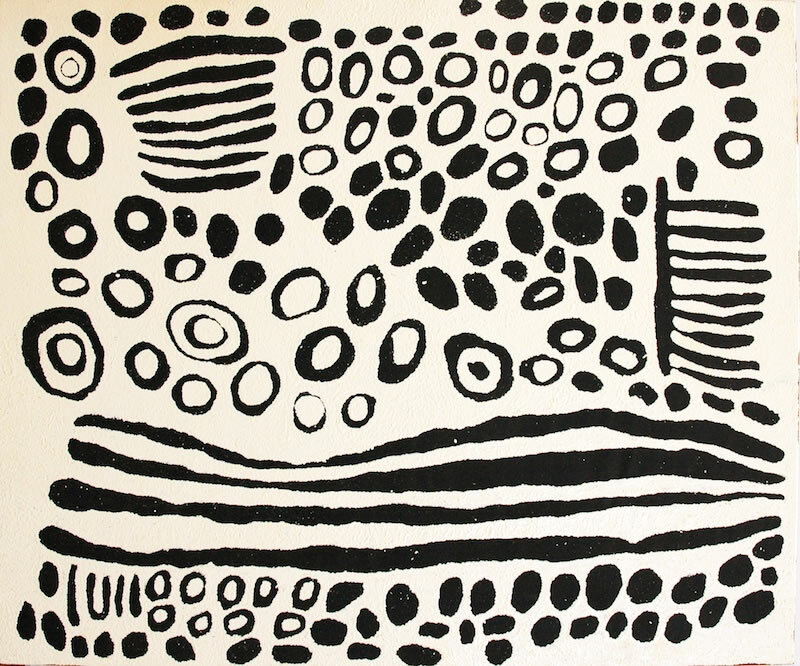 Wintjiya Napalatjarri's paintings have an emphasis on stark design elements and a restricted palette. 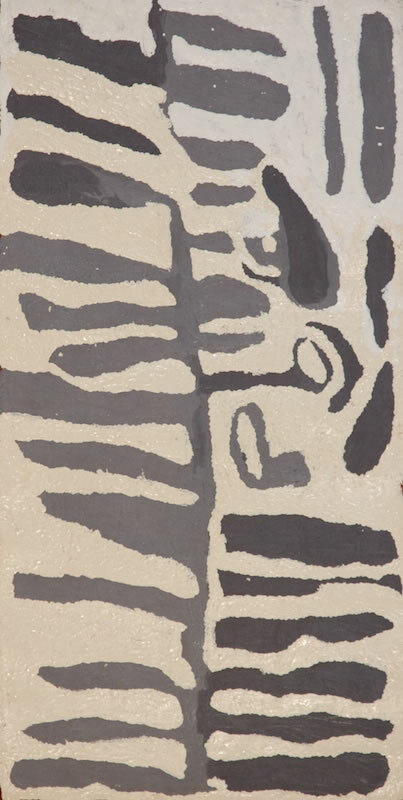 She paints in the direct sunlight, as evidenced by the thickness of the paint and the sheen of its surface. 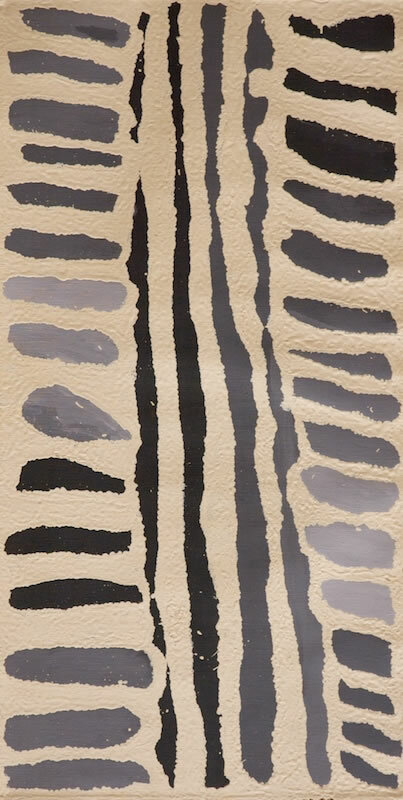 Wintjiya Napaltjarri first began painting when she participated in the Kintore/Haasts Bluff joint project in the mid 1990s. 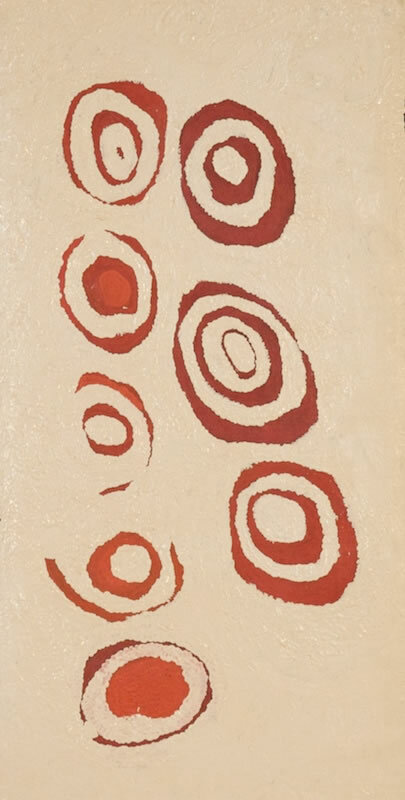 Until 2004, Wintjiya painted with her sister Tjunkiya Napaltjarri at the Papunya Tula Artists shed in Kintore but since then she has painted from her home: the widow's camp outside her "son" Turkey Tolson's former residence. 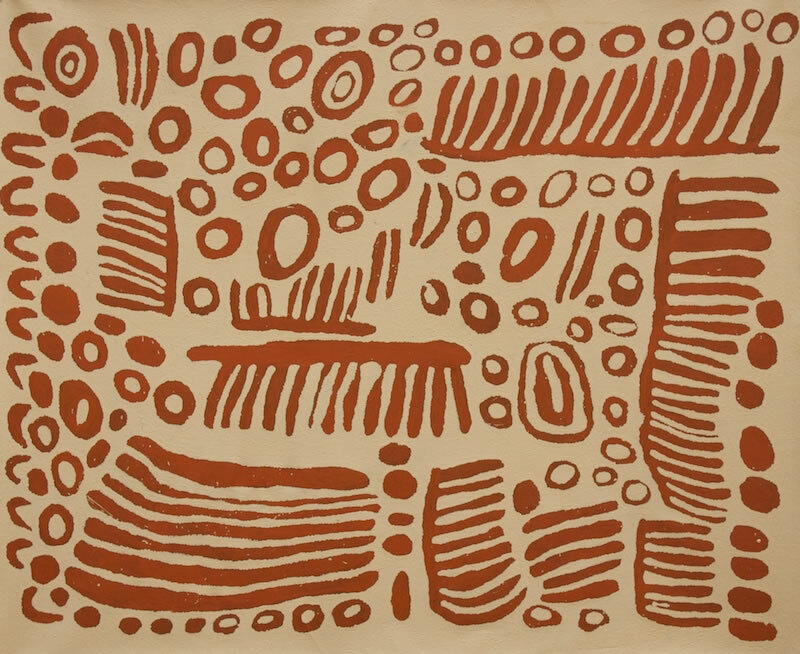 Wintjiya has been in many group exhibitions and a number of solo exhibitions, as well as having work in major collections including the Art Gallery of New South Wales, the National Gallery of Victoria and the Aboriginal Art Museum in The Netherlands.